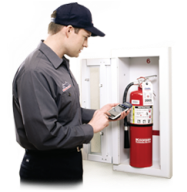 Safety Inspections - Metro Fire LifeSafety Inc.
Our Safety inspections are comprehensive and detailed in our reports. Giving you the ammunition you need to make informed decisions, or budget for future needs. Our AED Inspections are comprehensive, your AED is tested to make sure it is operational. The Pads and Batteries are checked for expiration dates, serial numbers are checked for available updates. We also verify that the accessories required are present. We create a list for client. 90 minute load tests per LifeSafety 101, or touch tests to make sure your lights are operational. Technicians go to client location (NC and SC) and performs an inspection in accordance to Life Safety Code 101. Technicians can replace batteries and/or bulbs in existing units (Items carried on vehicles). Replace old fixtures with new, utilizing existing wiring. We create a list of equipment for client. We test your Eyewash stations for proper operation, including duration of flow and temperature, we also change the water and additive in your portable stations. Technicians go to client location (NC and SC) to perform an inspection. Items expired are listed and disposed – replacement items recommended to client. Plumbed eyewash units are ran and tested, results recorded. We perform NFPA annual and Monthly Inspections for all your fire extinguishers. Technicians (3) go to client location (NC and SC) or client brings extinguisher(s) to office location (3110 May Street, Charlotte NC). We perform an inspection in accordance to NFPA 10. Technicians may provide opinion on placement of existing or new extinguishers. Annual tags are placed on extinguishers and/or ‘swap’ pre-made extinguishers carried on vehicles for repair items. Our OSHA certified inspectors will bring to your attention potential hazardous areas and situations at your facility. We perform your semi annual kitchen system inspections to make sure they are compliant﻿﻿ with NFPA 17A. Technician (1) goes to client location (NC) to perform inspection. System is ‘tripped’ to verify operation. Links, cartridges, clogged nozzles, missing caps are replaced. Technician verifies that nozzle replacement is correct for appliances underneath. Current piping is moved if needed.